Pedro Salomé is the group leader of the Nanofabrication for optoelectronic applications (NOA) group. The group is focused on exploring and developing clean room nano and micro fabrication techniques allowing for the incorporation of nanotechnology in optoelectronic devices like thin film solar cells with two ultimate goals: powering the IoT and integration of photovoltaics in buildings (BIPV). 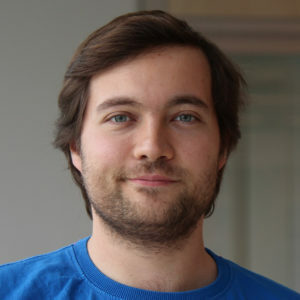 Pedro Salomé received his Diploma in Physics Engineering and Doctoral degree in the field of Applied Physics from the University of Aveiro, Portugal, in 2006 and 2011, respectively. During his PhD studies, he worked with growth and characterization of Cu(In,Ga)Se2 and Cu2ZnSn(S,Se)4 thin films for solar cells and he performed short research stays at the Helmholtz Zentrum Berlin, Germany, and at the Federal University of Minas Gerais, Brazil. From February 2011 to February 2013, already holding a PhD, he was the project manager of an industrial collaboration between the Ångström Solar Center, at Uppsala University, Sweden, and Corning Inc., USA. The project dealt with the development of novel glass substrates with the intrinsic ability to dope Cu(In,Ga)Se2. In 2013 he was awarded with an Individual Intra European (IEF) Marie Curie (150 k€) and moved to the International Iberian nanotechnology laboratory (INL) to work on chalcopyrite-based nanostructures for solar cells. In 2015 he was hired as a staff researcher by INL and in 2016 he was awarded by the Portuguese Foundation for science and technology (FCT) with an FCT Investigator starting grant to fund his own group. To match this grant, in January 2017, INL promoted him to leader of the group Nanofabrication for Optoelectronic applications. Since 2017, Pedro also holds an invited Assistant Professorship position at the Department of Physics at the University of Aveiro. To this date, Doctor Salomé has published 60 papers in peer-reviewed international journals and according to scopus he has over to 2450 citations and an h-index of 24. He has given 12 invited talks at institutes/workshops/conferences. Pedro has submitted 3 patents to the European patent office and he is very active in the development of solar energy and often contributes with talks at universities, schools and companies, doing science promotion, trying to connect the industry with the research community and engaging with the general public about renewable energy. Bart Vermang, Jörn Timo Wätjen, Christopher Frisk, Viktor Fjällström, Fredrik Rostvall, Marika Edoff, Pedro Salomé, Jérôme Borme, Nicoleta Nicoara, Sascha Sadewasser. Introduction of Si PERC rear contacting design to boost efficiency of Cu(In,Ga)Se2 solar cells. IEEE Journal of Photovoltaics, VOL. 4, NO. 6, NOVEMBER 2014. P.M.P. Salomé, V. Fjällström, P. Szaniawski, J.P. Leitão, A. Hultqvist, P.A. Fernandes, J. P. Teixeira, B. P. Falcão, U. Zimmermann, A.F. da Cunha and M. Edoff. A comparison between thin film solar cells made from co-evaporated CuIn1-xGaxSe2 using a one-stage process versus a three-stage process. PROGRESS IN PHOTOVOLTAICS: RESEARCH AND APPLICATIONS, 2015; 23:470–478. P.M.P. Salomé, H. Rodriguez-Alvarez, S. Sadewasser. Incorporation of alkali metals in chalcogenide solar cells. Solar Energy Materials & Solar Cells, 143 (2015) 9–20. Pedro M. P. Salomé, Jennifer P. Teixeira, Jan Keller, Tobias Törndahl, Sascha Sadewasser, and Joaquim P. Leitão. Influence of CdS and ZnSnO Buffer Layers on the Photoluminescence of Cu(In,Ga)Se2 Thin Films. P.M.P. Salomé, J. Keller, T. Törndahl, J.P. Teixeira, N. Nicoara, R.-Ribeiro Andrade, D.G. Stroppa, J.C. González, M. Edoff, J.P. Leitão, S. Sadewasser. Solar Energy Materials & Solar Cells 159 (2017) 272–281.